There is a trailhead and small parking area on the shoulder of Range Road about 1.2 miles northwest of the intersection with Winn Road. 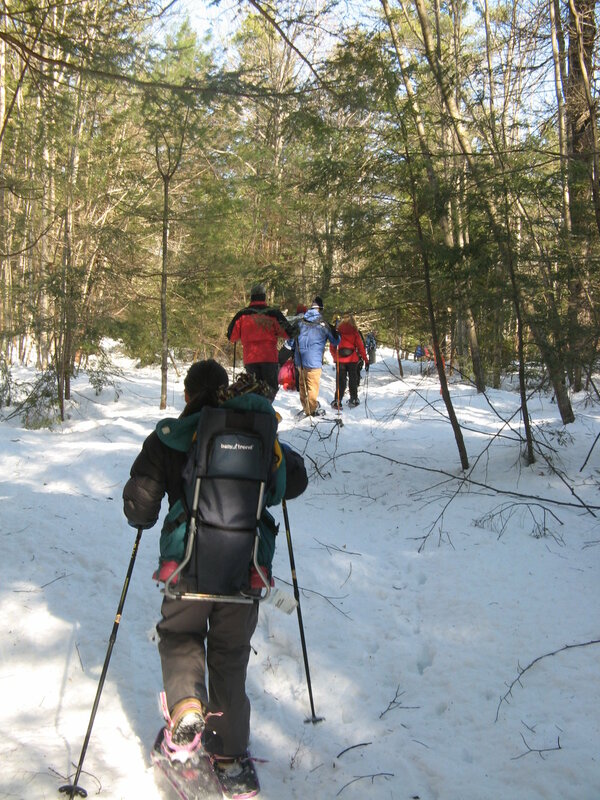 The public is welcome to use Rines Forest for low impact outdoor recreation including hiking, cross-country skiing, snowshoeing, fishing, hunting, picnicking, horseback riding, and snowmobiling on designated trails. 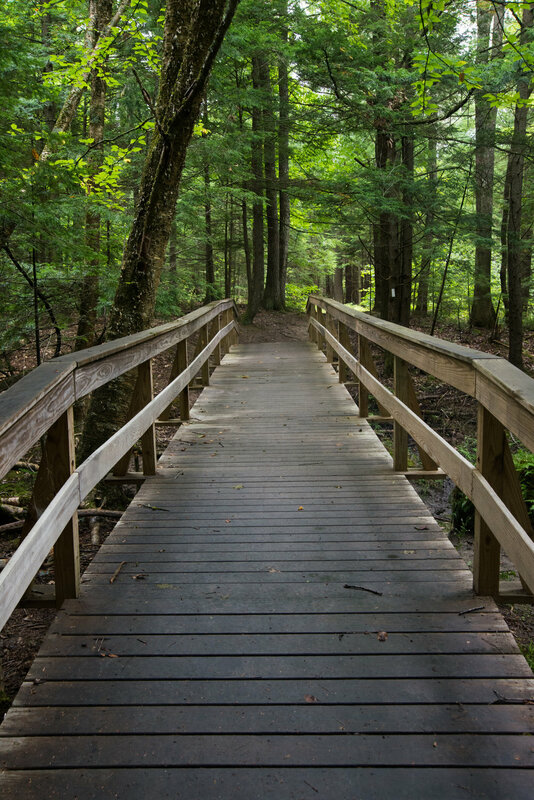 This expansive woodland protects a healthy forest with diverse wildlife, vernal pools, waterfalls, and streams that flow to the East Branch of the Piscataqua River, a major tributary of the Presumpscot River. Rines Forest is a keystone property in an important conservation corridor and is located within the largest forested area remaining in Cumberland. Rines Forest is a magnificent 216-acre woodland in the heart of Cumberland. 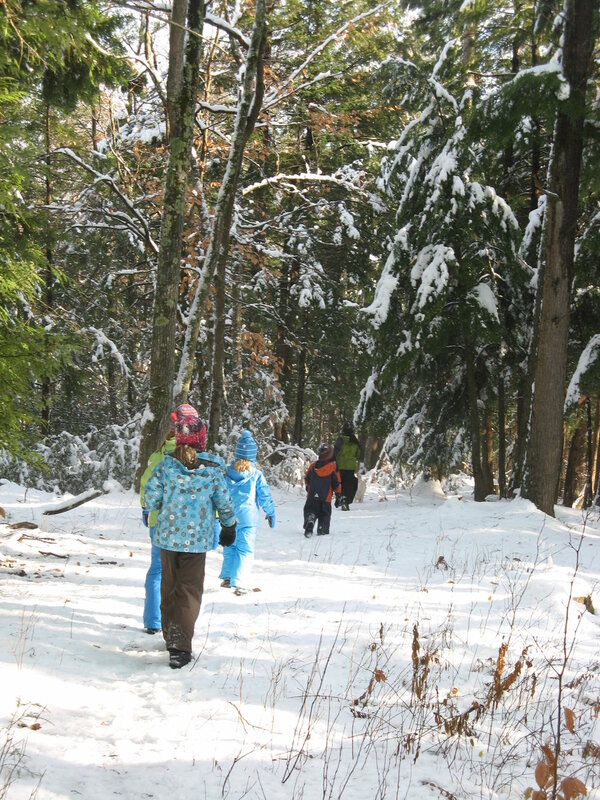 The town of Cumberland purchased the property in 2003 from the Rines family, and in 2005 crafted a conservation easement with CCLT to ensure that the forest would remain a natural area managed for wildlife habitat and public enjoyment forever. This beautiful and tranquil setting provides visitors with cascading waterfalls, well-maintained trails, and places of solitude. The Rines Family purchased the property in 1918 to be used as pasture for their cattle, which they walked to Cumberland each spring from their farm in Gorham for grazing. In 1941, they decided to return the property to a forested area. Today, few signs of human intrusion are evident apart from an occasional rock wall or logging road. Here it is easy to feel as though one has escaped to a remote wilderness far removed from Maine's largest city. For more information about the property, see the Town of Cumberland’s Rines Forest website.